I've always taken a little pride in not being a big tv watcher. Don't get me wrong, I like it, I've just never been one to get addicted to shows (Friends is the one exception and that borders a minor obsession!). Now with that said, I may need to rethink that statement because as of lately, I have three shows I must watch weekly. Eek, who have I become?! My weekly lineup includes: Grey's Anatomy, The Office and more recently, the new NBC show Parenthood. 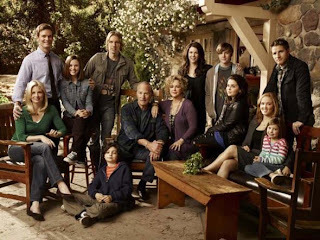 Now that the cat's out of the bag with my tv watching, I feel the need to gush a little bit about Parenthood, which I am loving! It's about a large family basically trying to figure out lifes twists and turns. It's sweet, funny and has a pretty well known cast, including Gilmore Girls Lauren Graham. I appreciate the "real life" element to the show. Plus there are several main characters, giving the it a lot of room for character development. If you haven't seen it, you really should check it out! I can't wait for tonights episode! 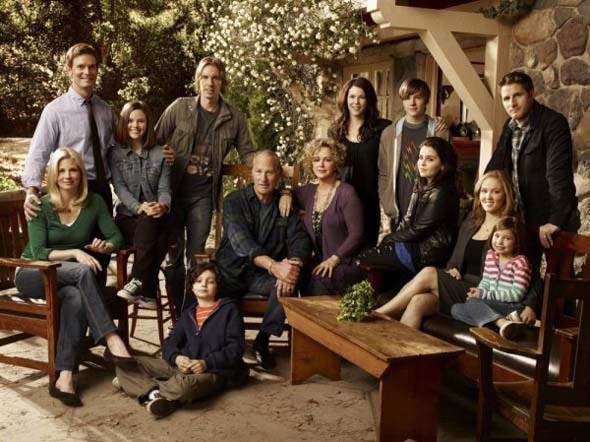 Have you been watching Parenthood? If so, what do you think? I love that show too!!!!! Home Project? Do It Yourself!